These tips on solutions to credit card debt were written and submitted by an anonymous site visitor. I would like to share some of my ideas on how to manage credit card debt by yourself, without having to hire a company or lawyer to help you. The good news is that there are a number of strategies that may be helpful to you in paying off your credit card balances. Just as charity begins at home, so can debt relief. But this is only possible in certain circumstances. For example, if you are already swimming in debt and can barely afford to pay your minimum payments – or are already several months behind – then you may indeed need help from a counseling company or debt settlement firm. But otherwise, if you have multiple credit cards and just want to do a better job of paying them off as quickly as you can, here's my advice for solutions to credit card debt. Get a piece of paper and start making a list. Write down how much you owe, and the interest you pay, on each of your credit cards. 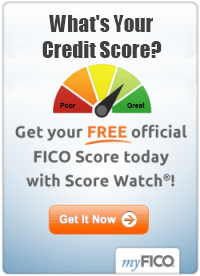 If you don't know these numbers, call your credit card companies or review your statements. Next, you need to decide which of the following two approaches makes the most sense to you in terms of solutions to credit card debt. 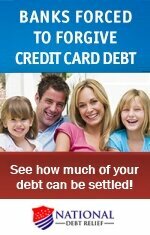 Option 1: Would you like to take care of your credit card debts in the order that potentially saves you the most money? If so, use that piece of paper and list your cards in order of decreasing interest rates, with the highest interest rate card at the top of your list and the card with lowest interest rate one at the bottom. Among solutions to credit card debt, this option leaves more money in your pocket in the long run. But, it can take a while before you actually start seeing the results... especially if the cards with the highest interest rates also have high balances. Option 2: Alternatively, would you prefer to reduce the number of cards on which you have a balance as quickly as you can, even if it means you may potentially end up paying a bit more in interest? If so, list your cards in the order of increasing balances. So the card with the lowest balance is at the top of your list and the card with the highest balance is at the bottom. This choice will reduce the number of cards that you have to pay more quickly. Yet, it may cost you a bit more to clear your overall debt – and more so if the low-balance cards also have lower rates, and the high-balance cards have higher interest rates. So, take your pick of one of these solutions to credit card debt. When it comes time to pay your credit card bills, send in the minimum payments on all your cards, but send twice the minimum due on the first card on your list. Keep doing this every month, until the first card is fully paid and the balance is zeroed out. Once the first card on your list is paid off, remove it from the list and don't use it. Follow the same payment strategy for the next card on your list. Again, keep sending payments with this formula, until the second card on your list is fully paid off, as well. Repeat this process until all your cards are fully paid. Paying off your cards this way may feel like a painfully slow process this way. Yet, since you keep adding successive payments to the cards as you progress down the list, your credit card balances disappear correspondingly faster.